Breakfast Open daily: 7:00 a.m. – 11:00 a.m. * Breakfast buffet available Saturday & Sunday Dinner Sunday to Thursday : 5:30 p.m. – 8:30 p.m. Friday to Saturday: 5:30 p.m. – 9:30 p.m.
Mount Burgess dining room is renowned for its signature Rocky Mountain Cuisine and a comfortable, warm atmosphere. Experience Chef Valerie Morrison’s seasonal menu – featuring free-range elk, bison and caribou along with seafood, pasta and a sophisticated array of desserts. Emerald lake resort is a magical place! Place in a remote part but not to far from the hwy1, is peaceful, serene and with a modern but rustic feel! The restaurant serves incredible, delicious menu! Game meat, fresh bake bread, fancy cocktails and so much more! We had purchased the gourmet package that is a good value, having hotel, breakfast and 3 course dinner included! The food was fresh, very delicious and lots! Highly recommended, hotel and restaurant! 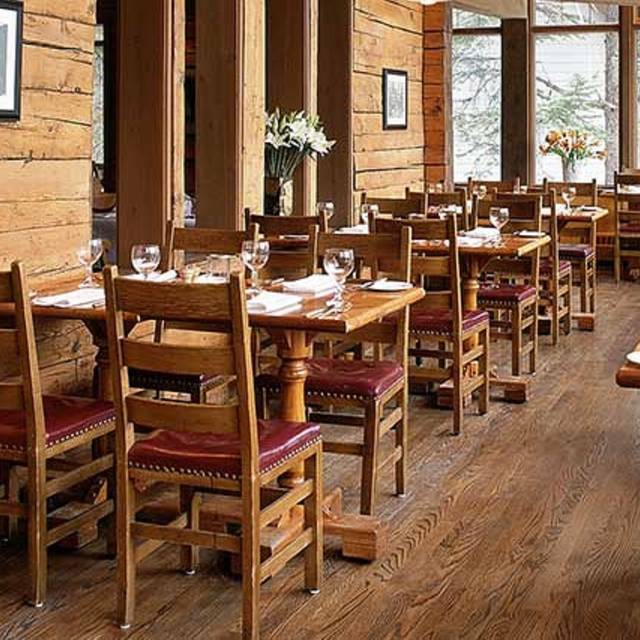 The ambience here is second to none, beautiful mountain setting, casual log lodge dining room. As well the food was delicious and I especially think the game dishes are delicious and well prepared. We were there for dinner at 8 near the beginning of the spring season, some staff appeared to be new but they were being trained and gave us good service. However, we encountered a waiter that disappeared on us from time to time and that is why I rated service low, otherwise it was a great evening dining experience! Food was great, wish they had a corkage to allow you to bring your own wine.